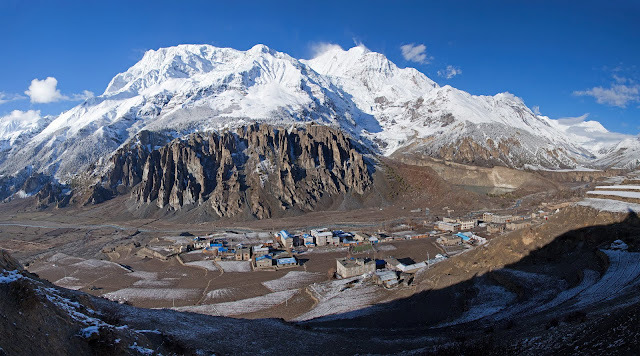 With eight of the top ten highest summits in the world and some of the most beautiful landscapes which are only reachable on foot, trekking in Nepal is one of the unique experiences of Asia.Trekking is the most popular activity in Nepal, and travellers will be bombarded on the streets of Kathmandu and the trekking hub, Pokhara, with guides, organised tours and gear for sale or rent. The huge variety of options allows for people of many ages and capabilities to attempt a trek in the country. While you could spend a year planning an expedition to wild and lofty places that few would dare attempt, you could also arrive in Kathmandu with no plans and be on the trail in a matter of days. Nepal is the ultimate for the trekking enthusiast – offering a myriad of possibilities from the short and easy to the demanding challenges of the snowy peaks. Easy, moderate or rigorous – there is something for every palate. Nepal has aptly been called “ A Trekker's Paradise”as her terrain – mountains, hills and the Tarai – offers some of the most spectacular trekking routes in the world. Put simply, a trek is an extended walking holiday, suitable for anyone with a spirit of adventure. Most days begin with a stunning Himalayan sunrise, when the crew serves you a piping hot cup of tea and provides you with a warm bowl of washing water. After a heartily cooked breakfast , you generally walk for two to four hours. You need only to set a leisurely pace, allowing plenty of time to absorb the beauty of the surrounding countryside, its peoples and the magnificent mountain backdrop. You are encouraged to take your time, stop for photographs and explore local villages. There is never any pressure to keep up. Remember, your treks is fully portered, so you only need to carry a day pack with a water bottle, camera, pullover and anything you think you may need during the day. On our higher altitude treks, rest and exploration days are built in to ensure proper acclimatization. Additional guides, or Sherpa, accompany you on your trek. They pitch and break camp for you, give directions as they walk with you during the day, and generally ensure you have a relaxing and enjoyable holiday. You travel with the security of having professional back-up on hand. Yaks, ponies or porters from the local region shoulder the main load, so you do not have to do the hard work. You appreciate their help when all you have to carry is your day pack with water, camera and any essentials you might need during the day.Your cooks, whether in lodges or on camping treks, are amazing with strict attention to hygienic foods. All food is prepared on kerosene.Camping Trek : Over the years, we have pioneered many new routes, away from the well-trodden trails, even on easy, low altitude treks. By traveling as part of self-contained unit, complete with food and quality camping equipment, you are able to follow more interesting, cleaner trails. You can visit quite villages and pass through terraced rice paddies, magnificent forests and beyond, to pristine glacial valleys rarely visited by other trekkers. It also gives us greater scope to select spectacular camp sites for you. Your trek allows an ideal blend of interaction with the local villagers and off-the beaten-track experiences. Tea House Trek :Lodges are a feature of the popular classic trails in the Himalayas. With twin-share rooms and beds with foam mattresses, lodges make a comfortable alternative to the traditional tented treks. You enjoy plenty of interaction with local villagers and your host families in the lodges. A variety of healthy and interesting dishes are prepared by your hosts and trekking crew. Supplies are brought from the town to supplement the limited local produce. The beauty of trekking is that is always possible to find a destination to suit the times when you can take your holiday. Different mountain ranges have different seasons,s and our aim is to trek when condition are favorable. Please refer to our trekking packages index, choose a trek that fits in with when you can – as long as conditions are normal for that time, you can be sure that the trekking will be rewarding.